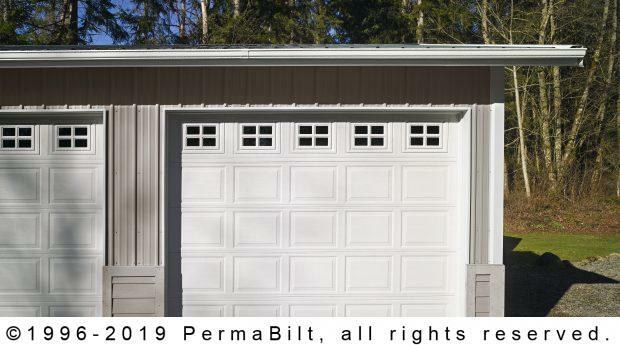 At PermaBilt® we know garages. Our expertise is based on having built over 20,000 buildings since 1973. 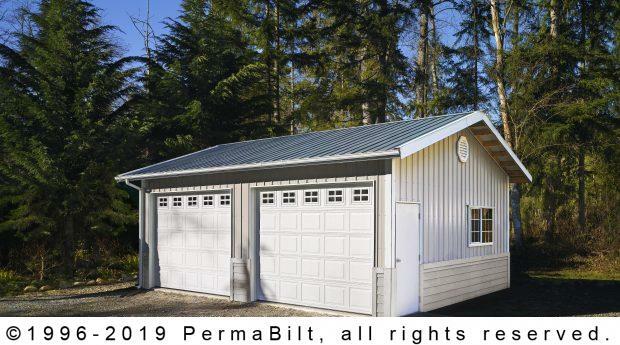 When our Graham Washington customer came to us wanting to build a 20’x 24’ two car steel garage, we knew we could design a garage to suit his needs. To start, our customer wanted two raised panel steel overhead doors with lites along the top for both style and to increase the natural light in the building. The doors were placed on the sidewall to meet the needs of his building site and access. Additionally he added a 4’ wainscoting in lap siding tie the look of the building to the residence. 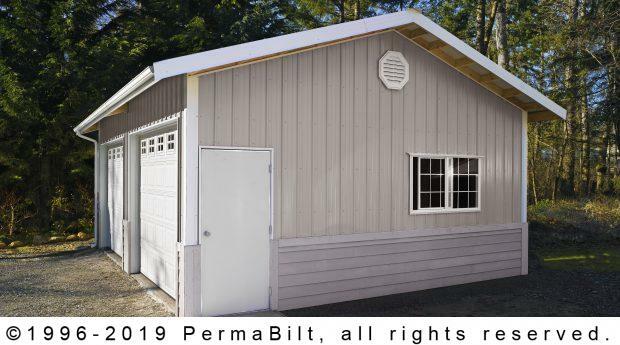 The concrete floor was placed after the building was erected and the customer was extremely satisfied with the craftsmanship of his new garage and the quality of service that was provided.